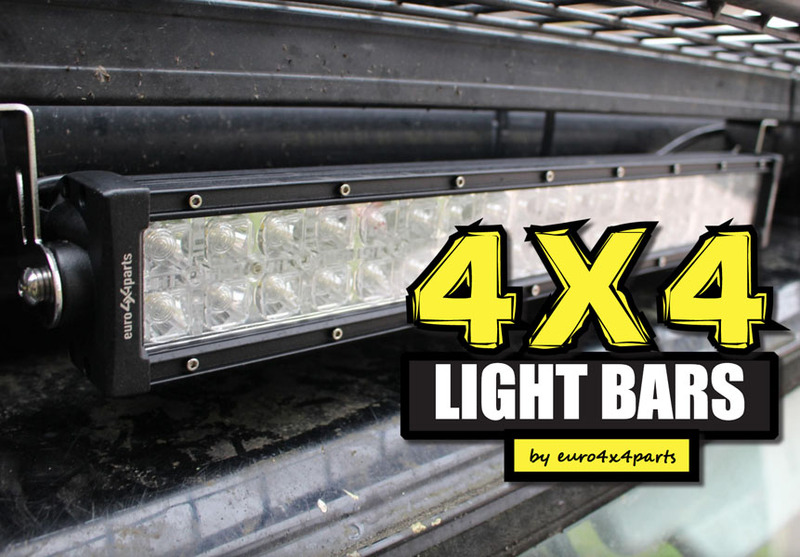 4×4 LED Light Bars from euro4x4parts. Hitting the tracks after dark requires a whole new level of concentration compared to driving during the day, and this is where LED lights come into their own. Standard factory lights do what they are required for general purpose but they don’t always meet the mark for those of us who enjoy exploring remote tracks at night time. 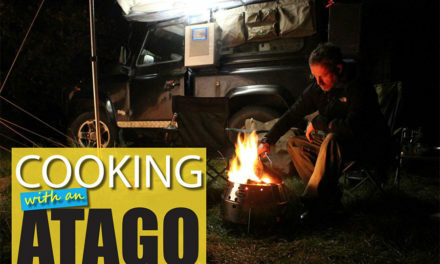 The after-market lights industry has grown from strength to strength over the years, and with the reduction in prices of LEDs (Light Emitting Diode) and HID (High Intensity Discharge) lights this has allowed 4WD enthusiasts to acquire these innovative products that open up a whole new world, particularly at night. Vehicle light technology has come a long way since the Halogen light bulb was introduced over fifty years ago. Halogen lights are still the most widely used headlights, but over the last few years we have started to see some new innovations entering the market such as HID, LED and the latest LASER technology that is being progressed by BMW.Lets have a look at the different types of lights. HID headlights are now brighter, cleaner and more energy efficient than their halogen counterparts, and with easy-to-install kits readily available we are seeing a lot more HID’s being installed on vehicles. 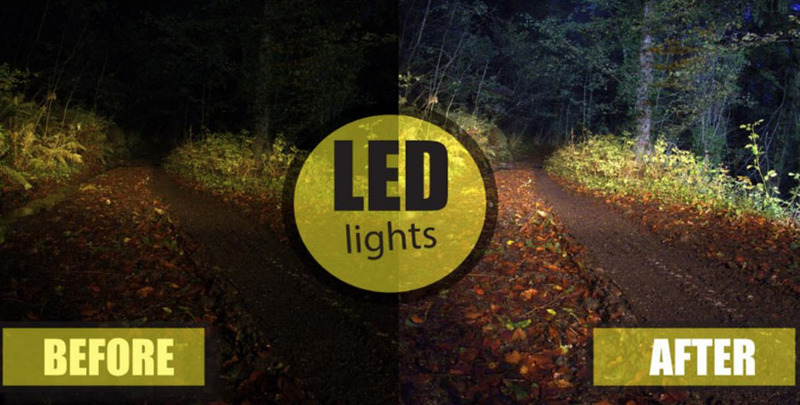 HID headlights work in a way that is entirely different from regular, halogen headlights. There is no filament inside HID bulbs, instead, a combination of an electrical charge and gas is used to produce the light. When the gas is lit by the electrical charge, it emits a much brighter, whiter light than that produced by halogen bulbs giving the driver a much wider range.The real advantage of High Intensity Discharge lights is that they draw very little wattage/power. 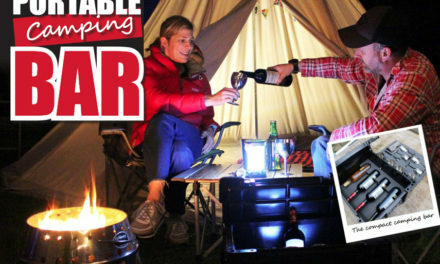 In recent years LED bars have become very popular as an effective light sources for recreation and four wheel drive racers around the world.LED technology is not a new one in fact the technology has been around for nearly 40 years but in recent years this technology has improved rapidly and become popular within the 4WD industry. 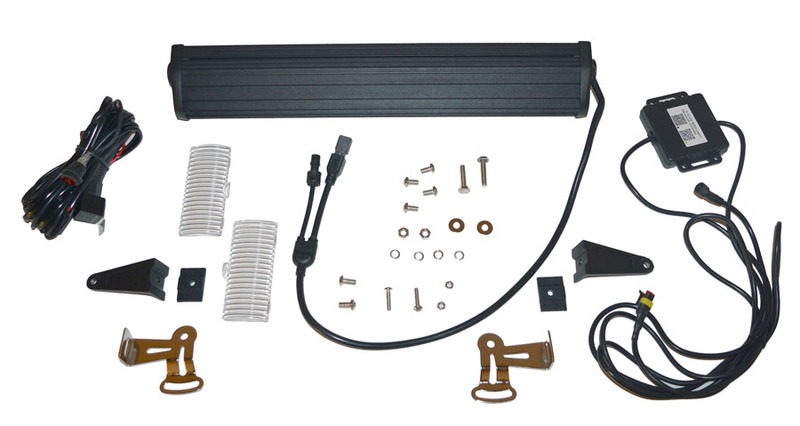 LED light bars consist of individual bulbs arranged in one or more strips of varying length. 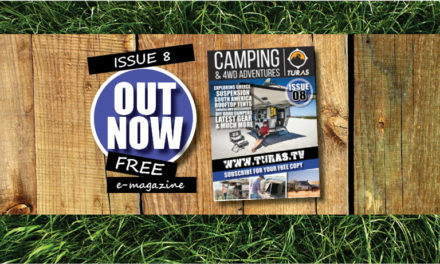 They are designed to remain lit even if one or more bulbs stops working.The good news about this advancement in technology is that with the availability of a number of after-market products has led these lights to become more affordable for 4WD owners. 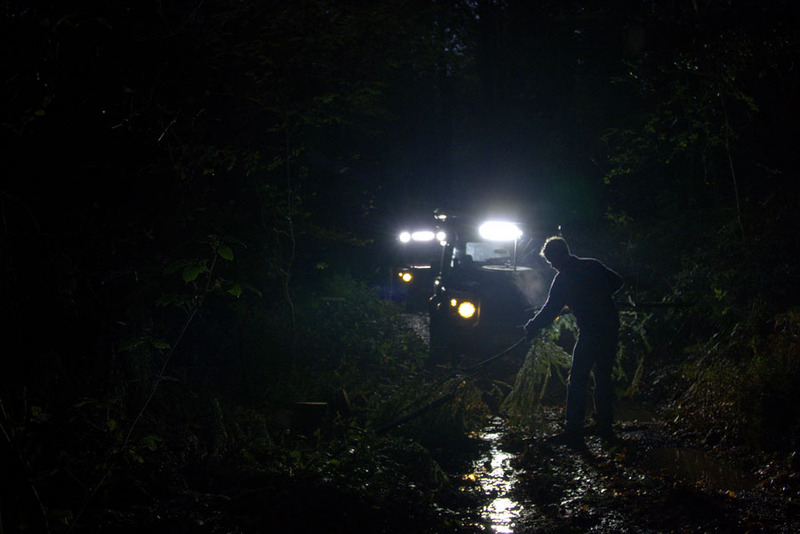 LED lights have a number of advantages that include having a lower energy draw, they don’t get as hot as other lights and you should get a longer life out of them with some reporting a lifespan of up to a whopping 50,000 hours, now that’s a lot of night time four wheel driving. when off road driving particularly at night. 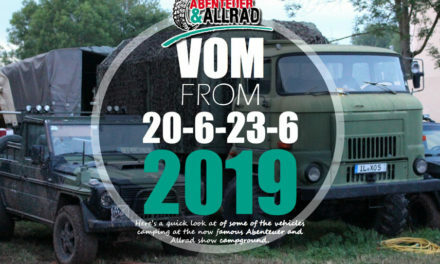 Other advantages includes increased visibility of the track in front of you but also to the sides of the track which can help you spot animals and obstacles which could potentially be a hazard when driving off road after the sun has gone down. 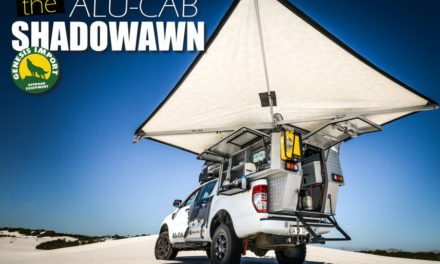 They are also easily attached to your vehicle’s roof rack or bumper depending on your preference and they look great on your 4WD. 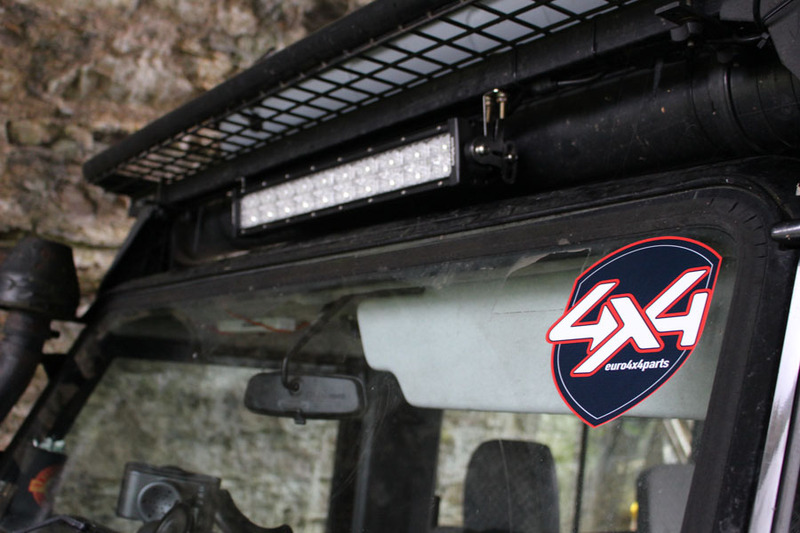 The LED Combo offered by euro4x4parts includes the hard wearing 22 inch light bar, all the wiring, a high quality internal switch and access to an application for your mobile phone and all for €170 incl VAT. The voltage is 9 to 32v and as regards performance on the tracks these LED bars project an impressive 10200 lumens and have a IP rating of IP67. In basic terms the number of lumens is a way to scientifically measure visible light both directly on front of you and to the side of your vehicle.The IP rating is a standardized way to measure solid particles in other words (the first number (6) and (7) liquid penetration resistance (IP67). 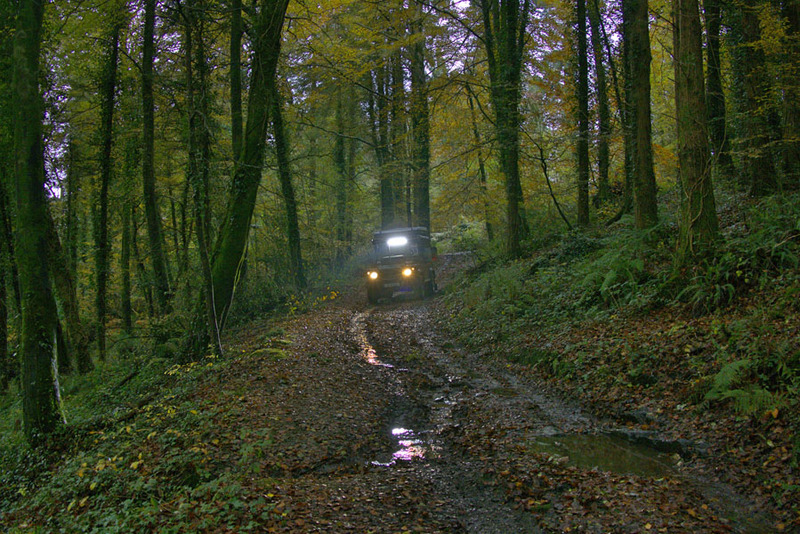 In this case the euro4x4parts 22 inch LED’s have the highest level for solid particle resistance at (6) making the unit dust tight, while the 7 rating means that these lights have the second highest level rating relevant to water resistance (IP67).In simple terms with the euro4x4parts 22 inch LED bar, you could pretty much drive your vehicle under water and these bars should keep shining bright. 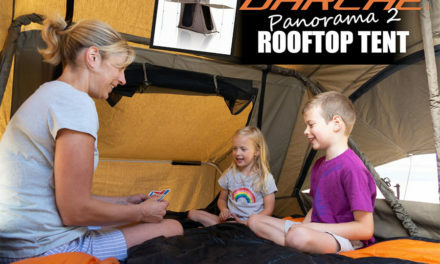 The kit is also supplied with hoods and also has a built in bluetooth unit that connects the LED lights to a smart-phone. Having downloaded the app (Apple or Android) the unit can be controlled via a mobile phone which allows you to quickly change the light colours, and wait for it, you can even get the lights to flash in sync with the beat from one of your favorite tunes on your phone, we’re sure that their are some people who will love this feature. 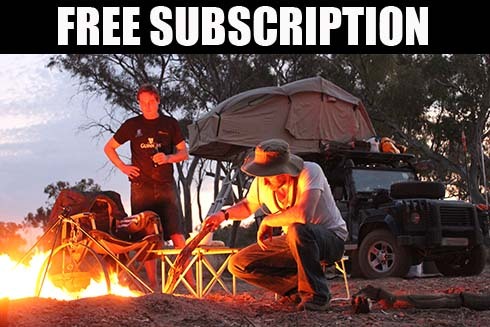 For more information on this impressive set up click on the link below. 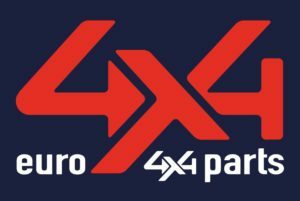 The Euro4X4parts online catalogue includes more than 70,000 part numbers for almost 60 makes of 4×4. 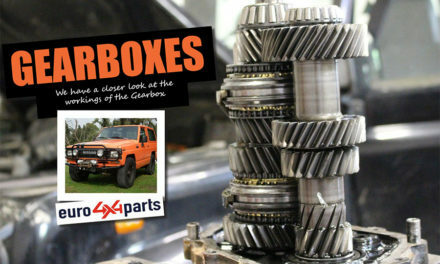 This database of parts and accessories, for 95% of 4x4s on the road making it a unique supplier throughout Europe.